Webinar Programs: Ready, Set, Go! In our December 1st webinar, professional speaker and moderator, James Hilliard offered us his extensive insights on creating the perfect webinar right formula in his Webinar Bootcamp event. If you missed the webinar, you can watch the recording here and download the handouts. Now that you have a good foundation for creating a winning formula for a webinar, let’s think bigger and figure out how to get there. Think webinar program! Why? Strive to create a webinar program and individual webinars that provide actionable knowledge and information to your audience. Virtual online events or webinars are a growing tool that we are using to market and sell to a target market; train their employees or customers, and more. You need to think of each webinar and your program as a series you are producing. You need to become a producer and set each webinar up through a well-defined process. It is important to select the right speakers as your talent to tell the story that fits your business and content. Use a checklist to make sure that you don’t miss any of the opportunities or strategies to make your webinar program and each webinar a success. 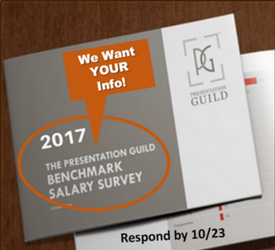 Approach each webinar as a scripted presentation with engaging interactions and polling built into the plan. A webinar program is more than one event. At PresentationXpert, we have created a Xpert Thinking Webinar Program and the days of the webinar are called Webinar Wednesdays. This strategy is one way you can connect with your target audience with events they look forward on each Webinar Wednesday. A large percentage of our webinar audiences have attended more than one of our webinars. We appreciate and value that loyalty. Our goal has been to connect our community with Xperts that deliver actionable knowledge and we have accomplished that, thanks to a wonderful community of speakers and readers. You need to think about the experience pre-live event, during the live event and post-event. You want to create content that will entice them to register. And start to think of it as a production because it is one. A well-planned webinar program will work if executed successfully. 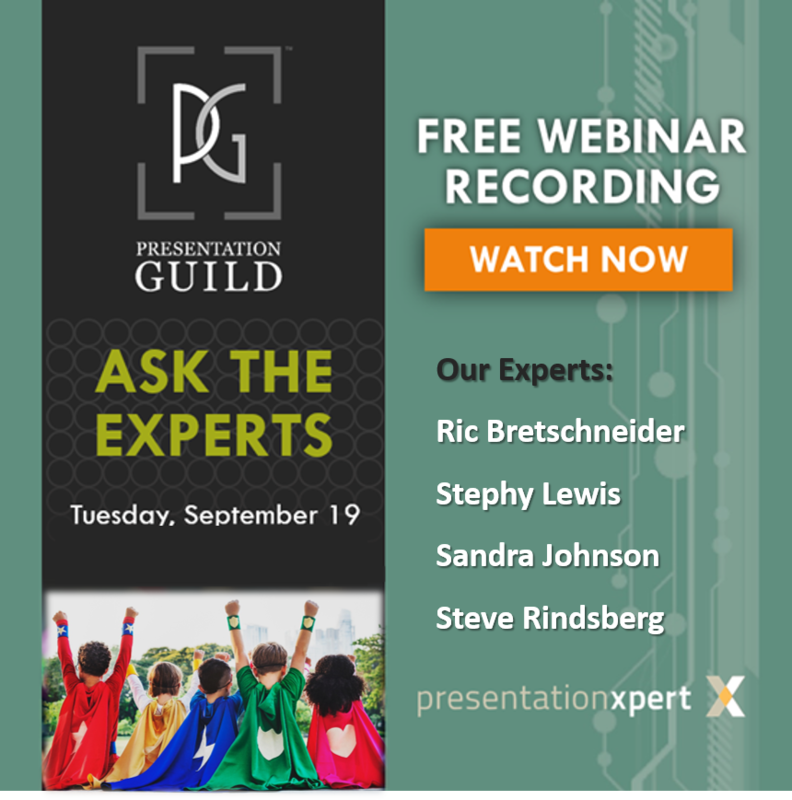 You need to understand the ins and outs of webinar production – pay attention to the details including technical, promotion, and implementation. Follow pre-designed, customized webinar process that fits your business. It is important to outline and detail each step. Wondering what steps you need to put in place to create an effective program? Here is one example, a visual way to look at creating your own production process. When they attend the live event, make sure to reach out to them in chat, use polls, and other interactive tools. The goal is to keep the conversation going so that they get the most out of the live event. We do an ice breaker exercise in the fifteen minutes, prior to the live webinar. It is one of my most favorite parts as you really get to know your attendees and what they are looking for from the webinar content. In the live event, plan interruptions so that the webinar is not just a one-way dialog. Ask them to raise their hands, take polls, and share their own experiences. Follow this up with social media using a hashtag strategy, if this is a public webinar. If you want a copy of my template, please email me. Handouts are an important way to deliver your content. Do you just PDF your slides and share them? Is there useful information provided? Think outside the box when it comes to handouts. Rick Altman did a fabulous webinar for us on “Surviving Handout Hell”. It is worth your time to watch it. Quality is important when you create your content. Make sure that your speaker delivers visual elements that can make their presentation flow. No “Death by PowerPoint” allowed! 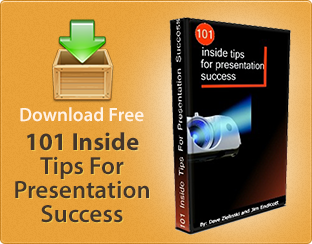 Work with them to ensure consistency and style of the presentation. Make sure the message is coherent, consistent, and concise. Ensure that the ideas that are clearly conveyed; data is convincingly displayed; charts and diagrams enhance the logic and flow of the presented work; and that those visual elements- images, animation, background, color, and text – deliver the content message. And please proof-read the presentation and provide edits to make the content look professional. Sometimes an audience is quiet and you have no questions. One trick I always use it to the speaker prepare questions in advance that they think an audience would ask when they deliver the content. Use them to create an interactive dialog with the speaker(s). And in the case where you have a speaker, who might have intermittent internet connectivity, make sure they provide the answers to some of the questions. You may chuckle but in January 2016, Taylor Croonquist did a webinar for us from Thailand. We lost him for three minutes. I took the questions and answered them as if they were audience questions. No one knew but Taylor and I (and now you all). Prepare with a Plan B, and a Plan C! Most of all, enjoy it! Webinars are a lot of fun and can be very engaging.